According to an internal survey, the US government has deported more than a thousand immigrant children from their parents and the insufficient transparency in record keeping cannot disclose this number. Therefore the appropriate number is still unclear. The office Inspector General at the US Department of Health and Human Services said the agency had discovered many more children added to the 2,737 included as a part of the active litigation opposing the separations of families by the American Civil Liberties Union in the last year. 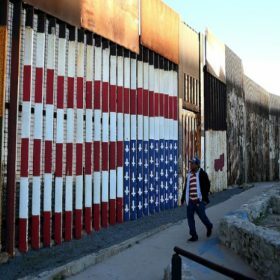 The administration of the US President Donald Trump imposed a ‘zero tolerance’ policy for the criminal prosecution and jail for all the trespassers of the border even those visiting with their children. And this regulations based on the new policy causes a wave of separation in the last year. The policy inflamed outrage while it came into public and the counter turnaround triggered Trump to bring an executive ordinance moving back the course on 20th June in 2018. But the auditor professed in a report that previous official declaration of ‘zero tolerance policy’, by the government initiated raging separations in 2017 for other reasons which were linked to a child’s safety and well-born and brought up, including dividing parents along with criminal records or lack of proper documents. As per the report, 100 minors along with more than two dozen under five years old had to be separated after the executive ordinance by the US President. A representative of the US Department of Homeland Security, Katie Waldman said the practice of the separation caught minors from the adults for protection of the interests for the children has been vital practice “for more than a decade”. From 2016 October to February 2018 before the official declaration of ‘ zero tolerance’’ policy was in place, around 1,800 immigrant families were separated at the border between US and Mexico.